Chimpanzees are the closest relation to humans in the animal kingdom. Second to chimpanzees is the magnificent gorilla. We humans share all but 1.6% of our DNA with gorillas so it’s no wonder that looking into a gorilla’s eyes feels a lot like looking into a human’s. This video was shot in Rwanda by David and Linda, two of our Infinite Safari family who traveled there and trekked into the jungle to experience gorillas in their native habitat. 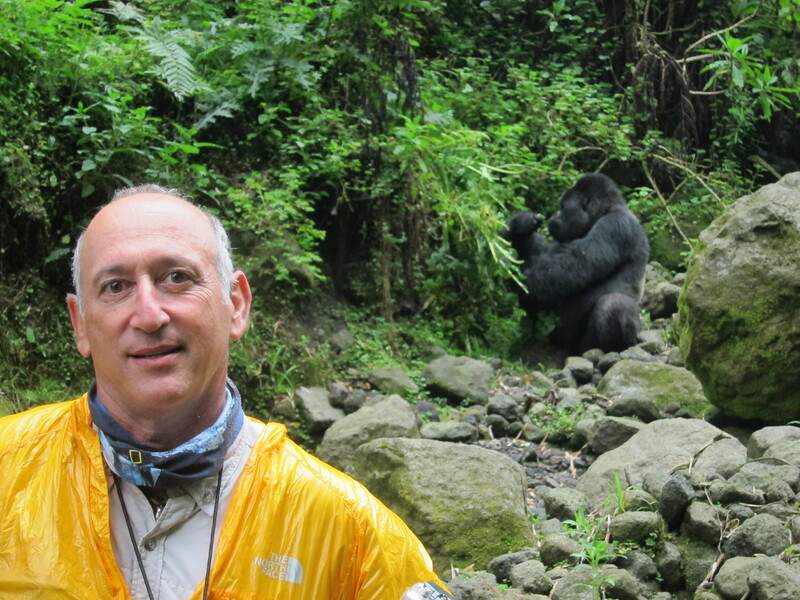 Gorilla trekking is one of the most wonderful adventures to experience in Africa. 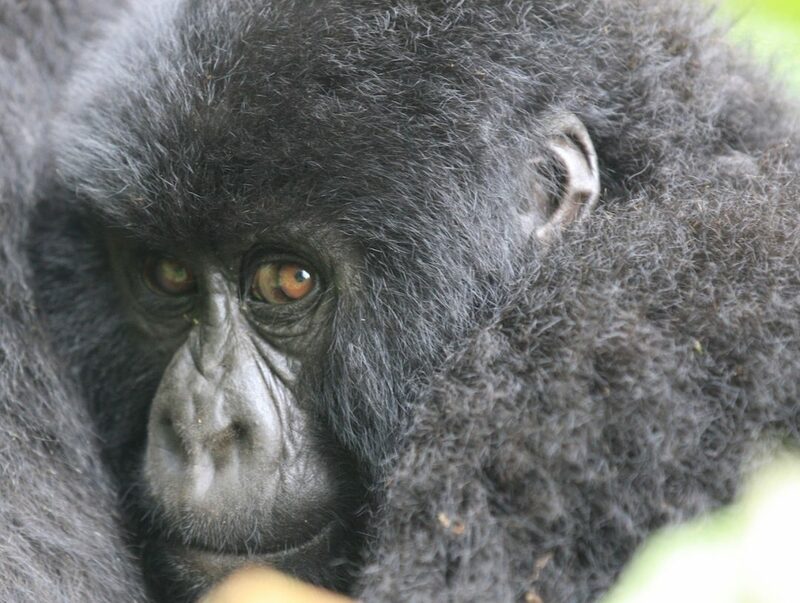 Why should we go gorilla trekking? Many people have seen gorillas in a zoo or safari park setting and whilst this gives us the chance to experience these animals, there is nothing like seeing one of our closest human relatives in its own habitat, surrounded by its beautiful family. The location where our Infinite Safari family travelers go is home to more than half the world’s population of mountain gorillas – just less than 500 of our closely-related primates. When you first see a giant silverback male, or a beautiful mama gorilla feeding her baby, or youngsters playing in the foliage, you are afforded an almost inexplicable sensation of wholeness with nature and a lasting appreciation for the beautiful diversity of life on our planet. When should you go gorilla trekking? While you are in the same area as Dian Fossey did her research it was not called Gorillas In The Mist for nothing. It can rain any time However, December – February, and June – mid-September are great months. What makes those months additionally wonderful is that many clients combine it with witnessing the Great Wildebeest Migration in Tanzania. In Jan-Feb the migration is in the southern Serengeti when great herds of wildebeest are spread out over the plains mating and calving. And in the Aug-Sept-Oct period the herds are in the northern Serengeti crossing the Mara River in great numbers. 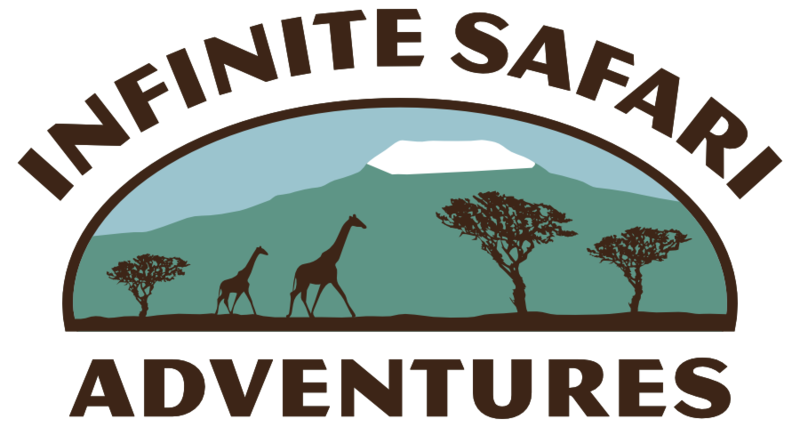 Yes, gorilla trekking is safe due to the extensive experience of our guides and the importance of tourism to Rwanda and Uganda. The country itself is very invested in ensuring tourists and visitors enjoy their experience and feel safe in order to encourage others to visit also. How physically strenuous is gorilla trekking in Rwanda? Gorilla trekking is an adventure that can be enjoyed by most able-bodied travellers. You are in the jungle so mobility is necessary, that doesn’t mean to say that you have to be an athlete. It is best to have a decent level of physical fitness because there is no guarantee where you will find the families of gorillas. During the rainy months they could be located at lower elevations but in the peak times you may be hiking up relatively steep slopes in order to locate the animals. It is a good idea to regularly practice hiking in hilly areas prior to your gorilla trekking trip in order to train your lungs and muscles.